The venture steps up Baidu's rivalry with Google, which still operates a music download service in China. 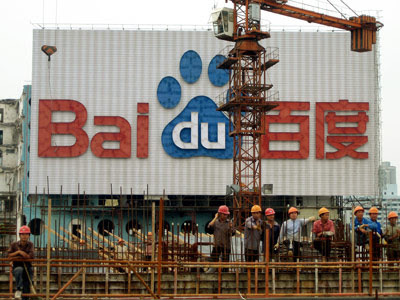 Baidu Inc. (BIDU) has best been described as the “Google” of China. Which by all accounts is an accurate assessment as the company is a large internet search provider, much like Google, that operates primarily in China, much unlike Google. However just because they both operate primarily as internet search providers, is Baidu really that similar to Google that it deserves this direct comparison? Google is no longer just another search engine--they’re a global web-based giant focused on connecting the world with information through a variety of mediums. Thus to call someone the “Google” of anything is a pretty serious compliment. Through various fundamental and valuation techniques I’ll look to determine if Baidu does in fact deserve this comparison. Google Inc. (GOOG), which began solely as an internet search engine, has transformed itself into a vast global information provider. The company operates in four key areas: search, advertising, operating systems and platforms, and enterprises. Google has a market capitalization of nearly $200 Billion, and annual revenues of $38 Billion. Google generates the majority of its revenues, nearly 97%, from its advertising customers. Since Google generates so much of their income through advertisements it allows them to offer a vast amount of proprietary tools to average consumers for free. Some of these tools include Google Maps, Google Images, Google Docs, Gmail, and countless other free services. 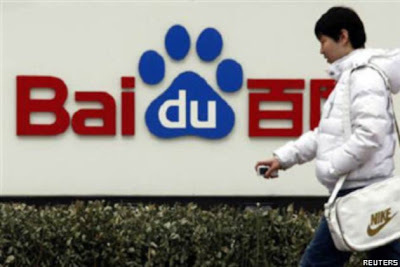 Baidu, China’s largest internet search provider delivers Chinese-language internet search services which enable users to find relevant information online. The company serves three key participants: users, customers and Baidu union members. Baidu has a market capitalization of $47.7 Billion and annual revenues of $2.3 Billion. Similarly to Google, the majority of Baidu’s revenues come from its online marketing services. The company’s marketing activities serve small and medium sized enterprises throughout China, corporate enterprises, and Chinese subsidiaries of large multinational companies. Much like Google, Baidu also offers countless other free services such as Baidu Mobile Map, Baidu Hi (instant messaging), and Baidu Wenku (online document storage). Essentially just about every way that Google provides information to its end-users, Baidu does just as well. On the surface, both companies do seem to be very similar to one another, so let’s dig further into each company’s fundamentals to get a better idea of just how alike these two search companies really are. Like most internet-based companies, both Baidu and Google have fairly high gross profit margins. This is due to the low overhead required to run a web based business model- as the majority of their costs are bandwidth and traffic acquisition costs. Although the companies do have similar gross margins, Baidu does have higher operating and net profit margins. Contributing to this is the much higher selling, general and administrative expenses as well as higher R & D expenses in Google over Baidu. Over the past three years Baidu has been decreasing its Operating expenses as a percentage of revenue, from 64% in 2009 to 48% in 2011, while Google has been holding their operating expenses steady at 65%-70% of revenues over the same time period. Evidently Baidu and Google have similarly efficient operations, with Baidu actually having the advantage in most categories. While the two stocks are clearly profitable, with Baidu having a slight advantage in margins, it’s time to take a look at how similar each stock is valued. Although Google trades at almost 4.5 times the share price of rival Baidu, shares of both companies are actually trading at somewhat parallel valuations. Baidu trades at nearly 47 times underlying earnings, but has a PEG ratio of just .96. Alternatively, Google is trading at a much lower multiple- just 21 times earnings, but has a similar PEG ratio of 1.11. So when comparing the two stocks we see that Google trades much cheaper in relation to its current underlying earnings, whereas Baidu trades slightly cheaper in relation to its future earnings growth. So when we factor each company’s growth rate into the calculation, we see that they both trade at very similar valuations despite the nearly $500 difference in share price. After evaluating the previous criteria, it seems that Baidu does in fact deserve the nickname “the Google of China.” For starters the two companies have almost identical operations, as they both operate in the same industry and provide almost the exact same product offerings. The companies also share very strong profit margins, with Baidu actually having the advantage in all three margin categories. And finally, they do in fact trade at slightly similar share price valuations- although Google trades at almost $500 higher than Baidu, their PEG ratios, which compares their price to future earnings growth, are very much alike. All in all it seems that the data proves that Baidu can very well be known as the “Google” of China, but I think the data also shows that Baidu deserves to stand on its own.